In a surprising decision, the Washington Supreme Court, in a 5–4 ruling, held that the corporate attorney–client privilege does not protect communications between an organization’s counsel and its former employees. In the face of a strong dissenting opinion, the majority departed from most other courts’ rulings that, based on SCOTUS’s Upjohn decision, the privilege covers a former employee’s communications so long as they pertain to the subject matter of her employment. Newman v. Highland Sch. Dist., 381 P.3d 1188 (Wash. 2016). You may read the decision here. Matthew Newman sued his school district after suffering a permanent brain injury during a football game. The district’s outside counsel interviewed all of the football coaches, some of whom no longer worked for the district at the time of the interviews. The plaintiffs requested the content of those interviews in discovery, and the district sought a protective order, claiming the privilege protected these communications. The trial court rejected the privilege argument and the Washington Supreme Court ultimately granted review. In a matter of first impression in Washington, the issue on appeal was whether the attorney–client privilege extends to postemployment communications between corporate counsel and former employees. The Court considered application of the privilege to former employees as an extension rather than a simple implementation of the Upjohn rule. It then noted that “everything changes when employment ends” and that former employees “categorically differ” from current employees. The Court instead equated former employees to independent third parties over whom the privilege does not apply. The dissent countered that the majority’s focus on the formalities of the employment relationship “misses the point,” noting the practical reality that, just like current employees, former employees may possess information about events occurring during their employment that will assist corporate counsel in providing legal advice to her corporate client. The dissent proposed the following standard: “Did the communications with the former employee, whenever they occurred, relate to the former employee’s conduct and knowledge, or communication with defendant’s counsel, during his or her employment?” If so, the privilege covers the communication. Upjohn rejected the narrow, so-called “control-group test” and adopted the subject-matter test, which holds that the privilege protects communications between employees—no matter their level—and corporate counsel so long as those communications pertain to the subject matter or scope of the employee’s duties. It is puzzling that these communications should lose their privilege status simply due to an employee’s personal decision to leave the company. 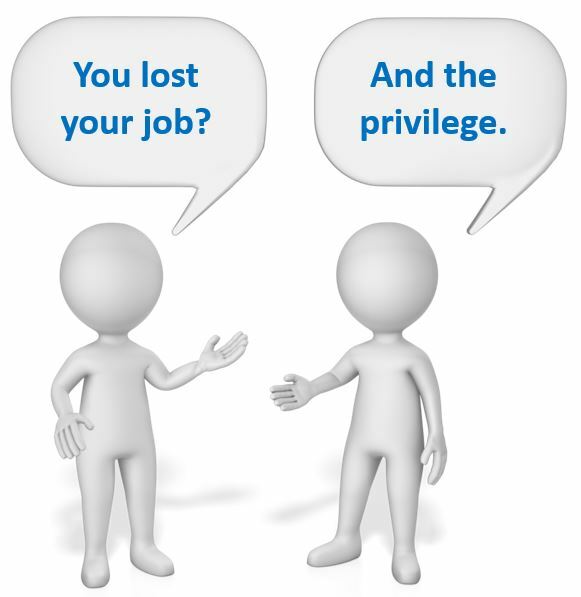 We know that litigation and discovery often occur years after a cause of action accrues, and in today’s transient employment society it is commonplace that employees will leave for other opportunities between an event’s occurrence and litigation and discovery arising from that event. Maybe this case will start a more vocal debate. Four amicus parties filed briefs, with three coming in on the anti-privilege side. You may read the briefs at these links: ACLU of Washington, Washington State Association for Justice Foundation, Washington Employment Lawyers Association, and Washington State Association of Municipal Attorneys. Criticisms aside, the rule in Washington is that the attorney–client privilege does not cover postemployment communications with corporate counsel. The next question is whether Washington’s decision will influence other states that review this issue as a matter of first impression. Just two years ago, in another 5–4 decision, the Washington Supreme Court significantly limited corporate attorneys’ ability to engage in privileged conversations with healthcare provider corporation’s employed physicians and other medical staff. The Court held that, except in narrowly tailored circumstances, the State’s common-law prohibition of defense attorneys’ ex parte communications with a plaintiff-patient’s non-party physicians supersedes the corporation’s attorney–client privilege with its employed physicians. Youngs v. Peacehealth, 316 P.3d 1035 (Wash. 2014). You may read my post on that decision here.